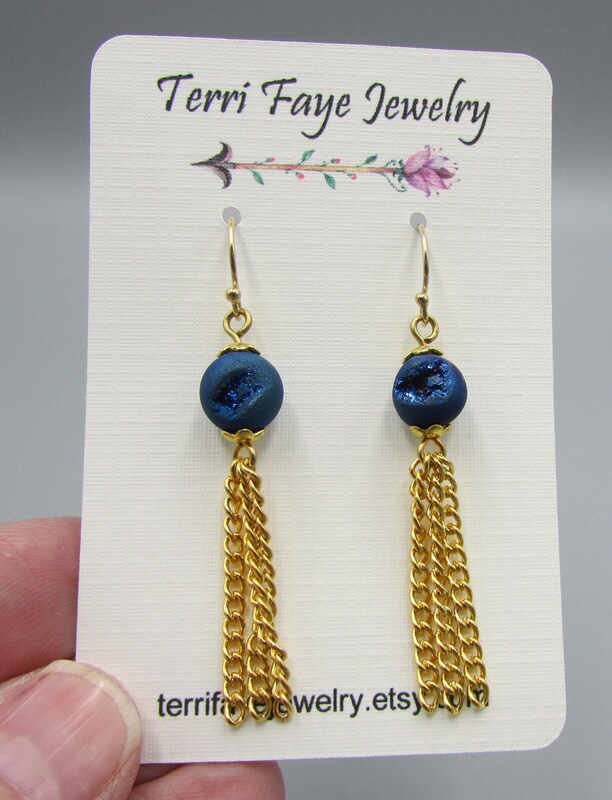 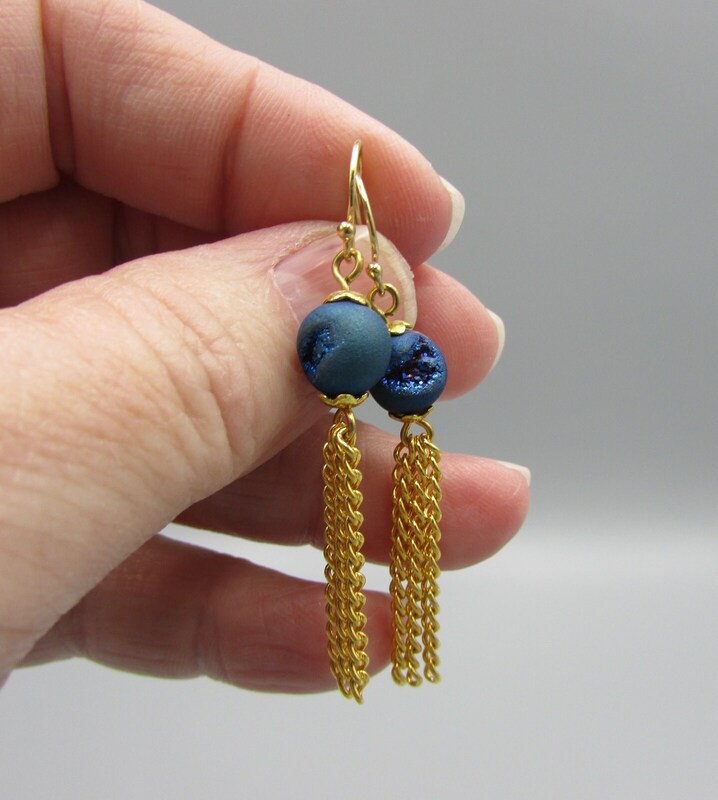 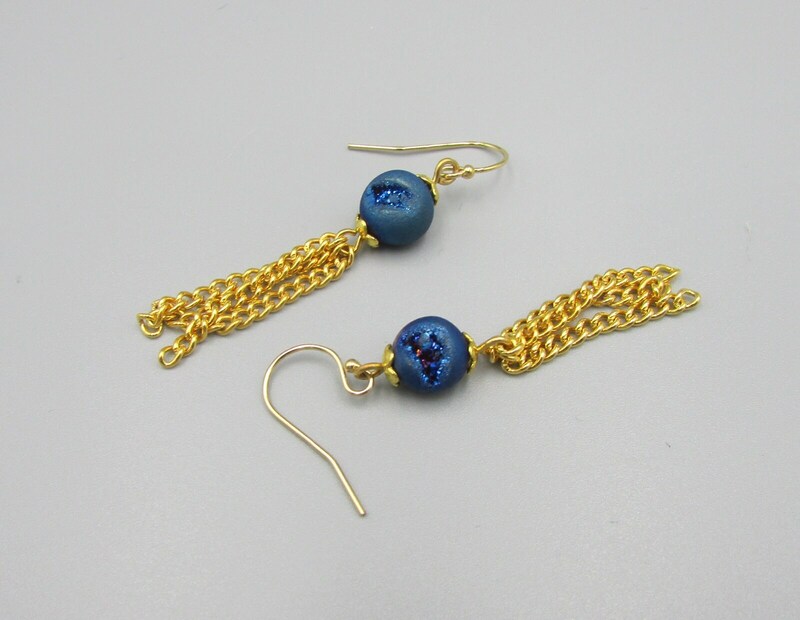 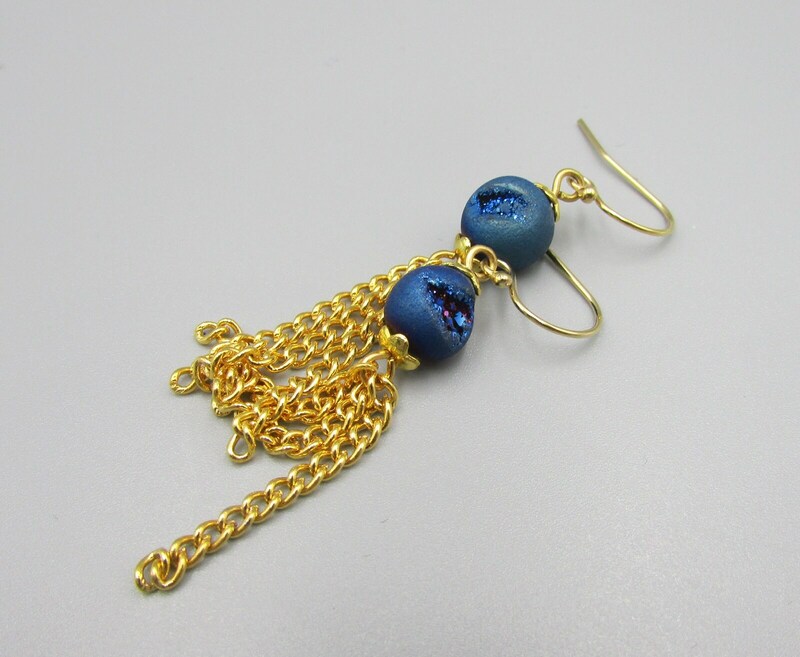 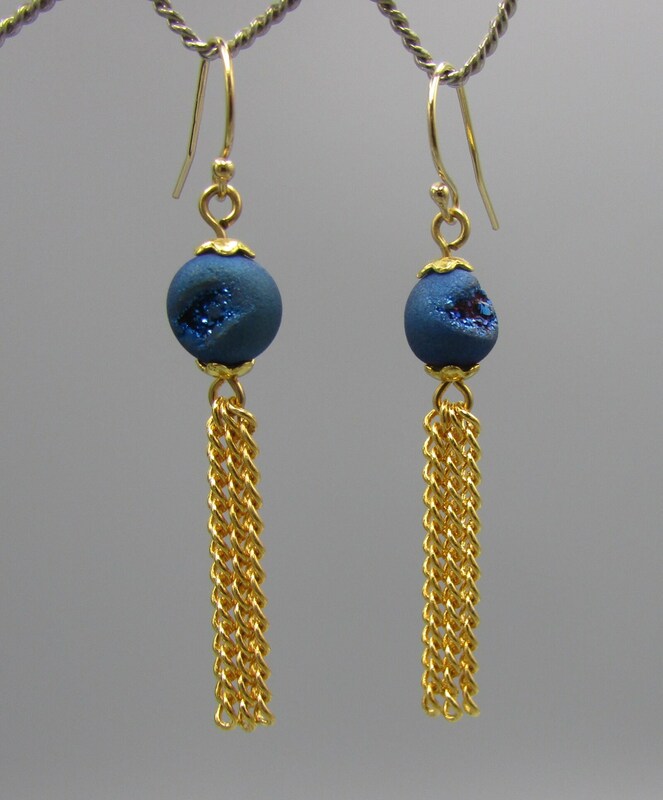 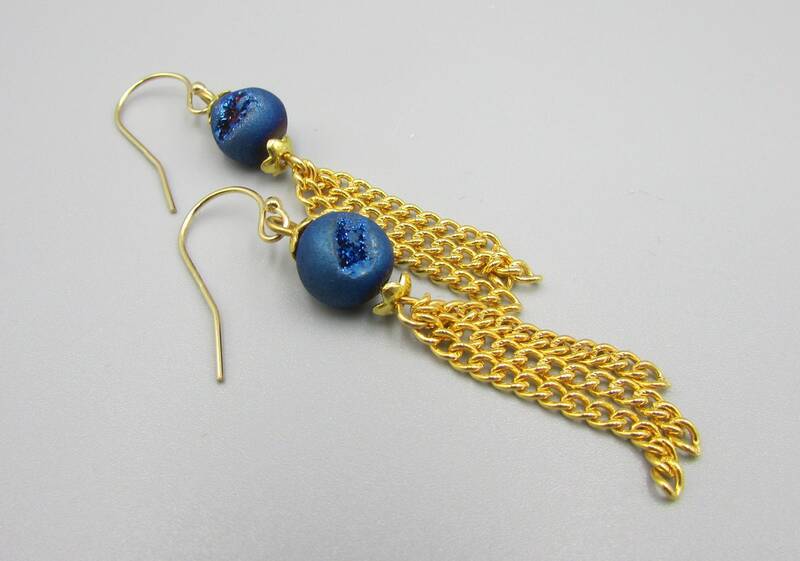 These elegant blue druzy tassel earrings are made with 8mm round druzy beads, gold bead caps and a gold chain tassel. 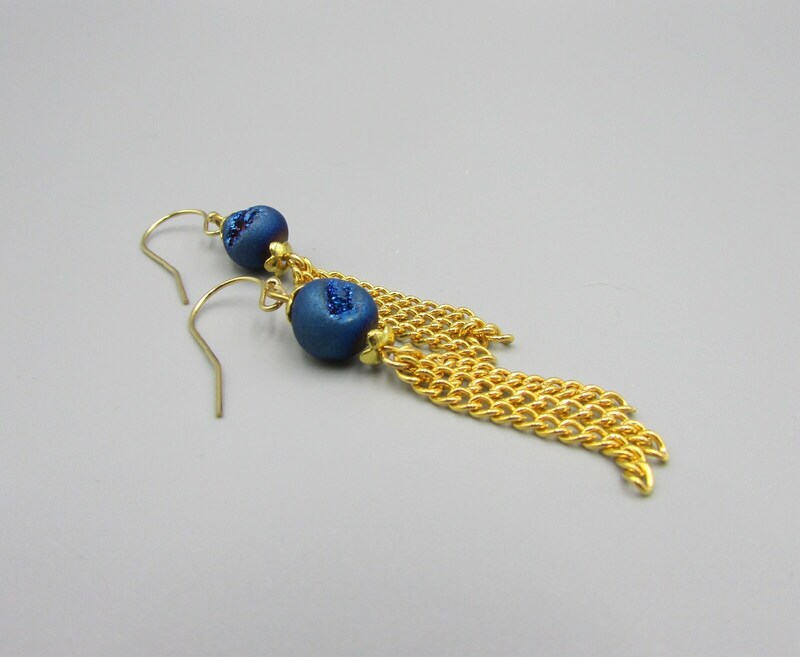 Finished with 14K gold filled ear wires. 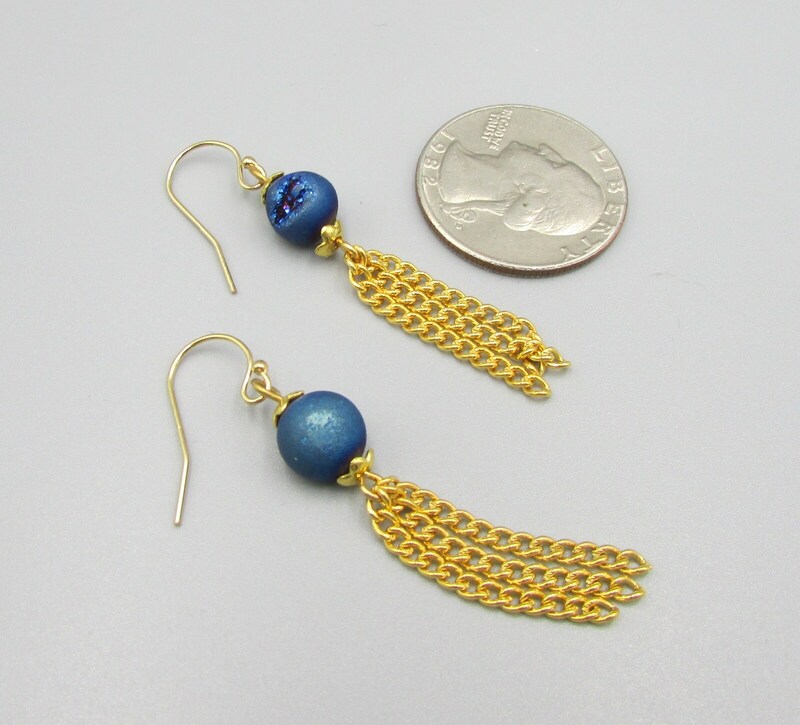 The chain tassel is 1 inch long. 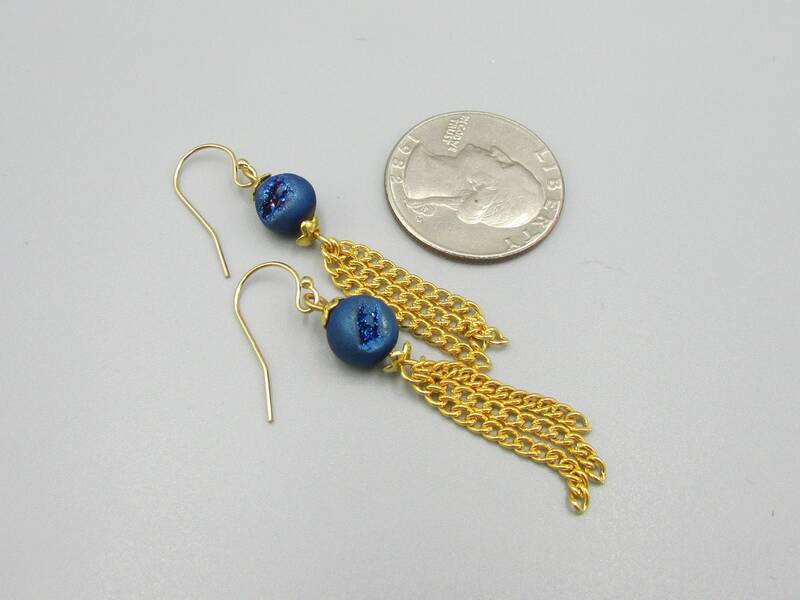 Total length is 2 inches.